A tree is a kind of tall plant that can live for a longer period of time. Trees have a thick central wooden trunk from which branches grow, usually with leaves on them. Some tree bear fruits and some are simply with flowers. Trees are known for several different wild and domestic purposes. 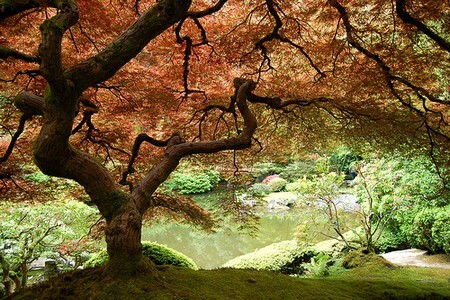 There are trees which are referred to as ornamental trees used to give you a diverse, colorful landscape. Some trees belong to spring and summer seasons while others grow well in fall or winter seasons. There are several different types of trees and some of them are really tempting with their colorful and vibrant foliages. If you are a true admirer of greenery, then choose the trees that can best grow in your garden or backyard. Deciduous Trees: Deciduous trees are the trees in which the foliage turns brown from green at particulars time. Some of the popular deciduous trees include black oak, cherry, plane tree, pawpaw etc. Evergreen Trees: As the name suggests, these are the trees which remain green throughout the year without having any affect of any season. Popular evergreen trees are: pine tree, spruce tree, and cedar tree. Conifer Trees: The leaves of conifer trees are of needle shape, i.e. long, thin and pointed. Conifer trees are evergreen in nature and produce cones. These are known to be existed on the surface of the earth for over 290 million years. These are found all across the world and some popular conifer trees include: bald cypress, pine, spruce and cedar. Flowering Trees: As the name suggests, these trees bear flowers of several different colors and due to this very fact they are known to give you striking looks in a landscape. Pawpaw, cherry, mimosa trees are some of the popular flowering trees. 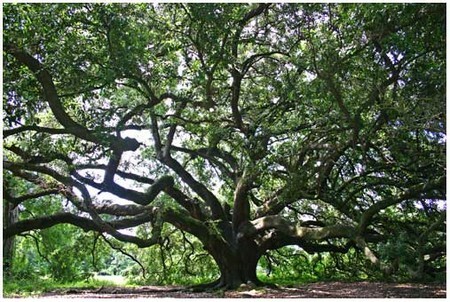 Oak Trees: Oak trees are usually known for their hard wood and clustered flowers. Acorn is a fruit that is associated with oak trees. These are commonly found in wet and high lowlands on slope of the mountains. The flowers sprout in spring season. Christmas Tress: We are not talking about the trees you are familiar with. Actually, Christmas trees are the trees on which the Christmas Eve trees are based. 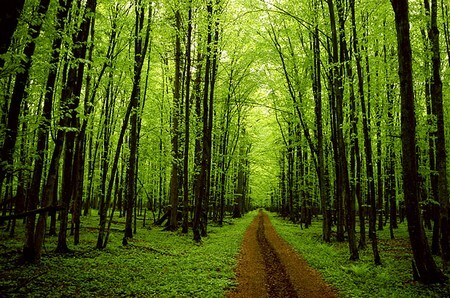 Martin Luther was the first person who discovered these trees while walking in the forest somewhere in 17th century. Prince Albert of England gave Queen Victoria a gift of Christmas tree in 1841 and since then it has become the popular all across the world. Ash Trees: There are seventy species of ash trees are known which are widely accepted for timber. These are also known for fruit known as samaras. They have long petals and also crop gum and usually bloom in the spring season. Big Trees: Big trees are called big because of their huge size. These trees can grow as tall as to forty feet. Sweet gum and oak trees are perfect examples of big trees. Willow Trees: These are fast growing trees which usually grow on river banks, i.e. places with healthy amount of moisture. The leaves of willow trees are a source of food for wild animals. They produce male and female flowers with absence of sepals. They are also used for making ornaments and for other purposes as well. Shade Trees: Shade trees are good in providing shelter and protection against the sunlight. The branches and big leaves are in close proximity which enables them to provide shade. Olive Trees: Olive trees are popular trees. These are known for their sweet fruit and also good quality wood. They bear white flowers which then produce small fruit of green color. When the fruit gets mature it changes it colors to blue or purple. Olive oil is widely used for different purposes. The fruit is also highly acidic. Maple Trees: Maple trees are also not new for many of you. Maple trees are found in several different varieties which are known for distinct features. However, these all varieties so have some common traits to share as well. Maple trees grow well in sunlight with well drained soil. Many of the maple trees bear light green to deep green leaves which keep the color the entire year. However, there are varieties of maple trees which show a change in foliage color with the introduction of the fall or winter season. The maple trees which show change in color usually produce bi-color foliage of gold, red, brown or orange. For instance, the Red Maple tree has light green foliage which turns to bright orange or red in fall. Silver Maple tree shows a color change to yellow or brown with silver shade on the bottom in the fall season. The Norway maple tree shows yellow, burgundy, gold, green color ranges in the fall season. Dogwood Trees: If you are looking for an ornamental landscape tree, then dogwood would be the best choice for you. Dogwood trees are available in several different varieties and hybrids. Majority of these species show good resistance against all the season and grow well. The flowers of the dogwood trees can be purple, cream, white, yellow or pink which bloom in the spring season. The shape and size of the leaves varies from species to species. Dogwood trees can be grown on moist, loamy, well-drained or sandy conditions. Above mentioned are some of the popular types of trees which are unique in their own characteristic attributes. It is important to keep the growing requirements of each and every type in mind if you are off to select some for your garden.